Everyone loves soup, this is a gorgeous seasonal soup with a fantastic colour and very good for you, it’s also great to make in advance and to eat on the go. Place a saucepan on the heat, add a little olive oil and the butter, then add the diced onion and garlic sweat for 5 minutes on a low heat. 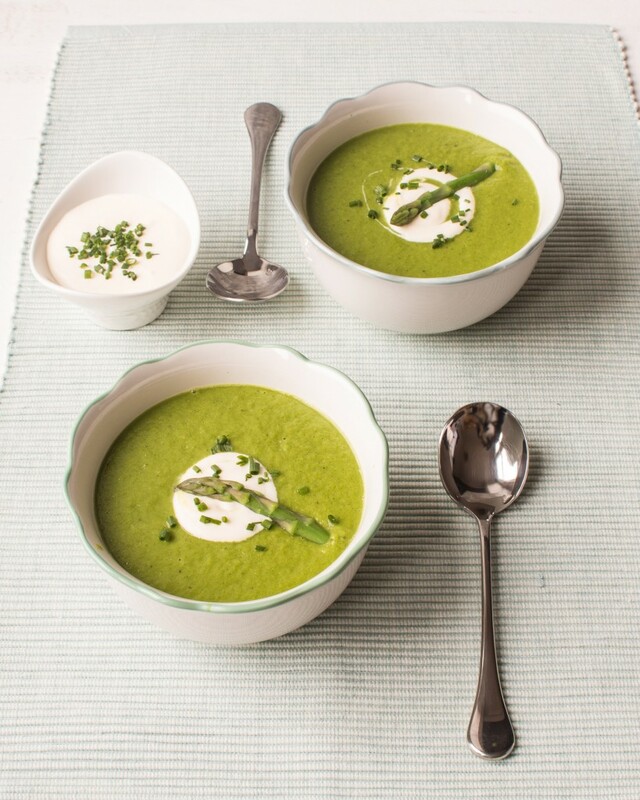 Once the soups blended put through a sieve to remove any lumps, mix your crème fraiche with the chopped chives and a touch of salt and pepper to taste.